IGN started revealing the WWE 2K18 roster today, with plans to release more names in the coming weeks ahead. Check out the list of wrestlers below. Corey Graves and Byron Saxton have replaced Jerry Lawler and JBL on the commentary team, Michael Cole will still be included. 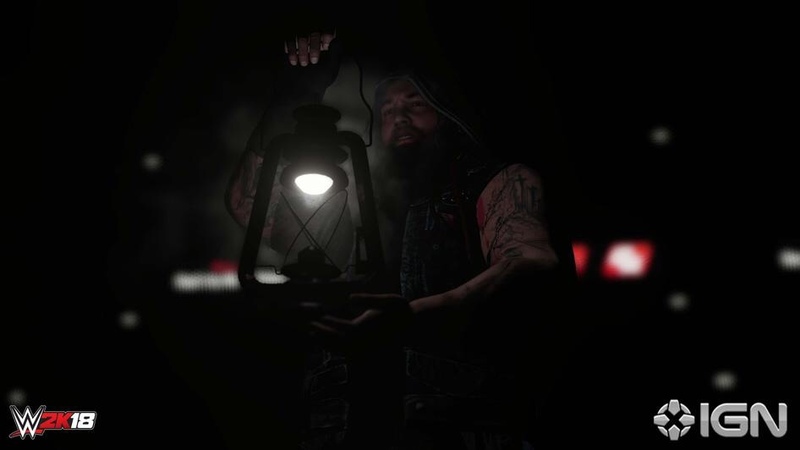 Also, head over to IGN to see some new WWE 2K18 screenshots and watch video entrances for SAnitY, as well as Gallows and Anderson. SAnitY entrance was nice! I figured we'd get them in the game, but I'm never 100% sure on these rosters. Glad to see Tozawa in as well. I'm looking forward to getting a lot of the Cruiserweights in the game! Saw the SAnitY entrance and the announcers still don't sound good. Unless Universe mode is drastically added to, won't buy until Hulk Hogan is back on the roster. The fact that guys like Mahal, Sanity, and Tozawa were announced in the first set of announcements has me really excited for this roster. Hopefully they perfectly replicate that crazy shower-hair thing she has going on. I like that we got so many revealed and not just 5 so we can start to get an idea of who's likely in. Yo we already got current people that's crazy!!!! Guess I'll be fully restarting my Universe write ups when it launches hahaha hell yeah! Bobby Roode was unofficially officially announced in IGN's review. Now WWE 2k18 is OFFICIALLY.......GLORIOUS!!! This has me hype. A lot of the revealed are secondary players so it makes me feel like were gonna have a pretty extensive roster when we're all said and done. Seriously though, who keeps asking for these guys? Its not like the Bushwackers are taking a spot from somebody, and their models are already done. I hope 2k never removes anybody they don't have to, because we can't import music anymore. Plus they're great to have for a Golden Age Universe.